Iran sign a Gas deal with France's Total - IRAN This Way: Become familiar with Iranian lifestyle! Iran will sign a deal with France‘s Total today for the development of gas production at a major offshore field in the Persian Gulf, the Iranian Oil Ministry said. The Heads of Agreement (HOA) for the development of Phase 11 of the important South Pars field is worth $6 billion (5.4 billion euros), a ministry spokesman told AFP. The accord must be finalized within six months, the spokesman added. The agreement involves a consortium led by Total, which includes the China National Petroleum Corporation (CNPC) and Iran’s Petropars. The deal marks the return of Total to Iran. It’s also the first such agreement between Iran and a Western petroleum company after a nuclear deal with world powers took effect in January, lifting some international sanctions. The offshore South Pars field, shared by Iran and Qatar in the Persian Gulf, contains some 14,000 billion cubic meters of gas – 8 percent of the world’s known reserves. An official from Iran’s Ministry of Petroleum told AFP that the agreement will be signed on Tuesday (8 November 2016) over the development of South Pars Phase 11 – the same project over which the French major was negotiating with Iran before the US-led sanctions drove it out of the country in 2012. The accord must be finalized within six months, added the official who has been identified as a spokesman of Iran’s Ministry of Petroleum. The deal marks the return of Total to Iran. It is also the first such agreement between Iran and a Western petroleum company after a nuclear deal with world powers took effect in January, lifting some international sanctions, AFP added. 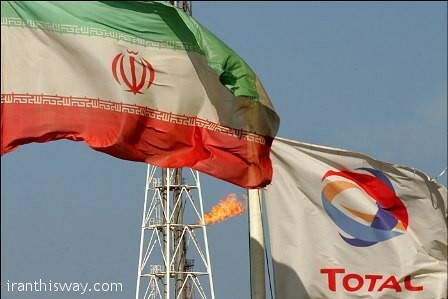 Total’s negotiations with NIOC over the development of Phase 11 also included the production of liquefied natural gas (LNG) in what was expected to become Iran’s first such project named Pars LNG. The project, however, was abandoned after the French energy giant had to quit Iran after the sanctions against Iran were intensified. It is still not clear whether the same LNG scheme will be again put on the agenda for the development of Phase 11. Pingback: France Total to install SP Phase 11 pressure booster station - IRAN This Way: Become familiar with Iranian lifestyle!